Two first editions of paintings by Madame Chiang Kai-Shek arrived through the valuation service this month which proved particularly interesting as they were signed with a personal dedication to the Ambassador of Nicaragua in 1970s. Soong Mei-ling in 1898, Madame Chiang Kai-Shek was a prolific figure in Chinese politics during the first half of the 20th century. She became an international celebrity during her lifetime which spanned 3 centuries at her death in 2003, aged 203. 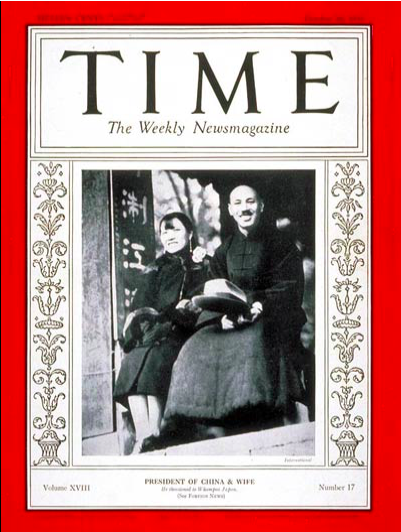 As a young twenty something, she married Chiang Kai-shek, then chairman of the Supreme National Defense Council and proved to be a powerful companion and assisted her husband in diplomatic matters as he didn’t speak English and lacked her charisma. 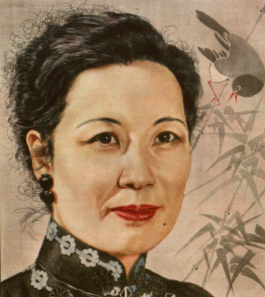 In the 1930s, Madame Chiang was a prime mover in China's New Life Movement. This focused on a modern rebirth of the Chinese people and updated attitudes on values as dutifulness, discipline and loyalty. Gaining confidence and support for persuasive public speaking, she even traveled the world eliciting support for her country's battle against Japan during WW2. She appeared on the cover of America’s Time Magazine twice. The Nationalist Party's rule was to be short lived, even though China, defeated the Japanese with the help of its allies. Madame Chiang and her husband eventually left mainland China and settled in Taipei, Taiwan after China underwent a communist revolution in 1949. After the death of her husband 26 years later in 1975, Madame Soong settled in New York. Retired from politics, she passed her time reading, visiting art galleries and painting. 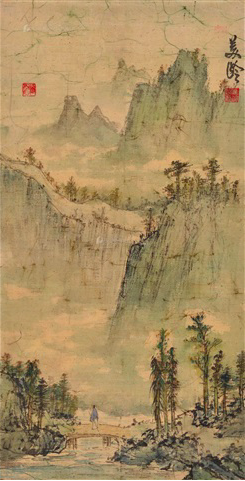 This landscape sold at Poly International Auction Co. Ltd, Beijing on Sunday June 5 2016, for $31,175. “Other similar examples are available on the retail market around the £1500 mark. When quoting auction estimates against retail value we sometimes look at as low as 10% of retail to give a starting price. We know due to today's internet coverage an item will find it's level on the day. As an Auctioneer, I believe if we don't set a conservative estimate we will not attract buyers." Want to see how much your items are worth? Barnebys appraisal service help shed some light on your historic items!